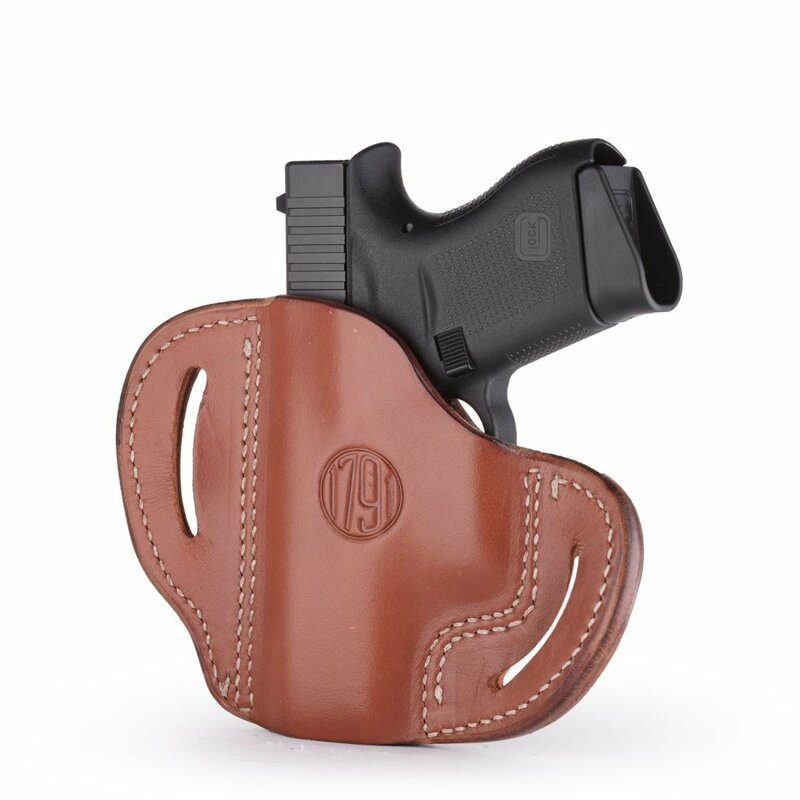 This Open Top Belt Holster Compact, conveniently referred to as the BHC, is hand-crafted from our premium 100% genuine Certified American, Heavy Native Steerhide leather and is thoughtfully designed to support the Glock 43. 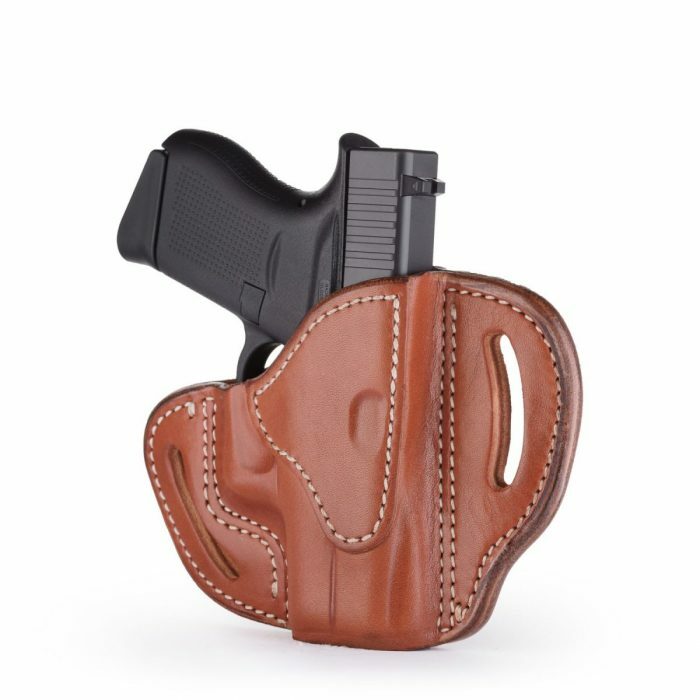 This Open Top Belt Holster Compact, conveniently referred to as the BHC, is hand-crafted from our premium 100% genuine Certified American, Heavy Native Steerhide leather and is thoughtfully designed to support the Glock 43. 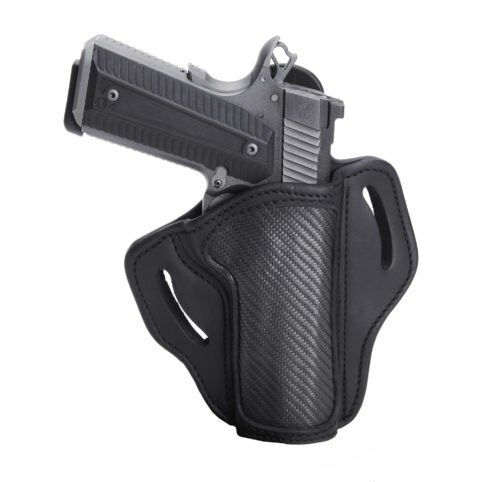 The Belt Holster Compact offers excellent retention for comfortable and reliable all-day carrying. 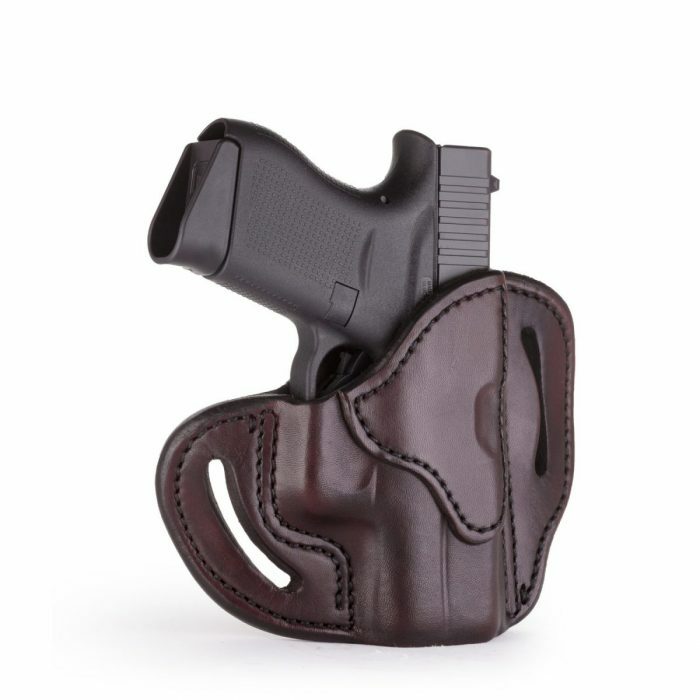 This OWB belt holster will retain your coveted Glock 43 and is a perfect match for such a reliable firearm. 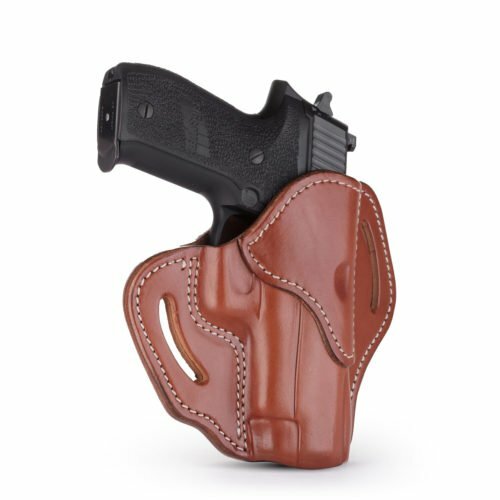 Plus, with the many colors choices we offer the Belt Holster Compact, you can find the best style for your firearm and best fit for your personal style. 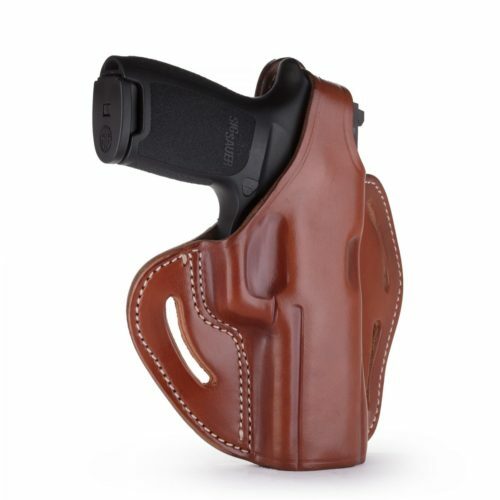 This is an exstreamly nice holster…. Very nice people to deal with and shipping was fast. Beautiful holster. Works well with my new Glock 43. My son likes it so well that he wants one for Christmas. This will an initial review since I just received my BHC stealth black for the Glock 43. 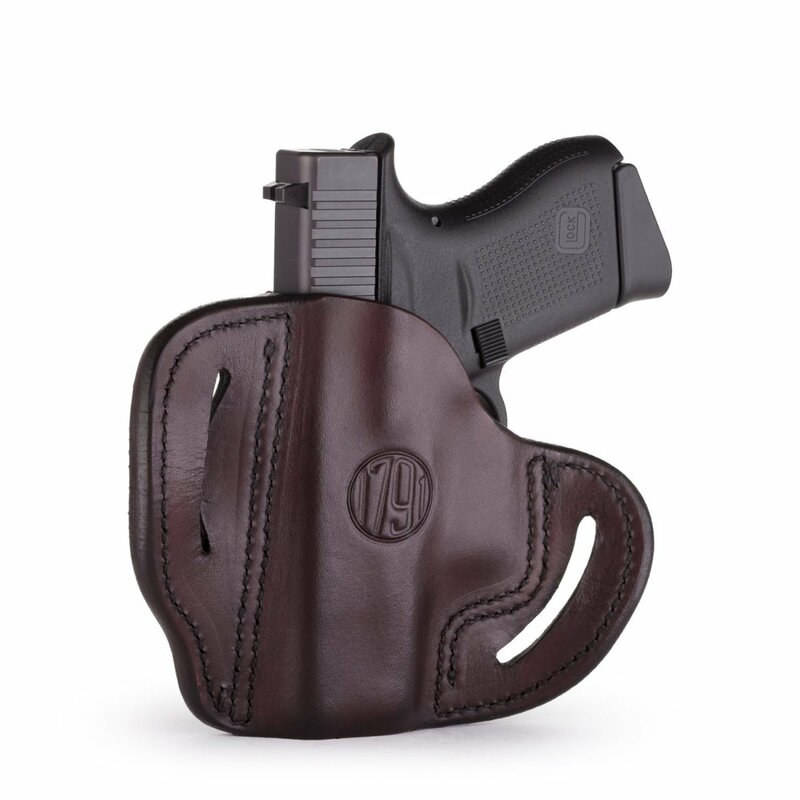 Over the years I’ve owned quite a few holsters this is an excellent holster as far as quality and price. It fits my Glock 43 perfect but for you Kahr gun lovers it is also a perfect fit for the Kahr P45 & PM45. I will up date the review later on after I have carried it for a few months.